Judgment Night(1993) doesn't offer much in the way of plot mechanics, but as a non-stop survival actioner with realistic stakes and a rap/rock soundtrack that still rips, it holds up quite well. The cast is good too, including a mostly passive (until the finale) Emilio Estevez, Cuba Gooding Jr.'s manic machismo, a babyfaced Stephen Dorff, smarmy comic relief by way of Jeremy Piven, and, of course, Denis Leary at his unhinged, psychotic best. Director Stephen Hopkins keeps the tension remaining high throughout, and, along with cinematographer Peter Levy, infuses the film with visual flair, including some great split diopter shots. 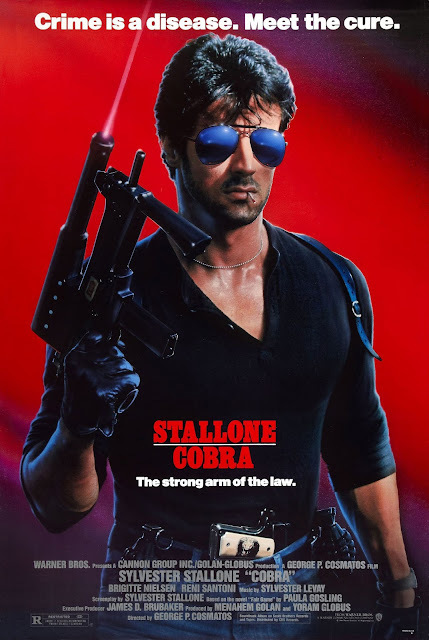 For fans of Deliverance(1972), the Dirty Harry series, and the Predator franchise. 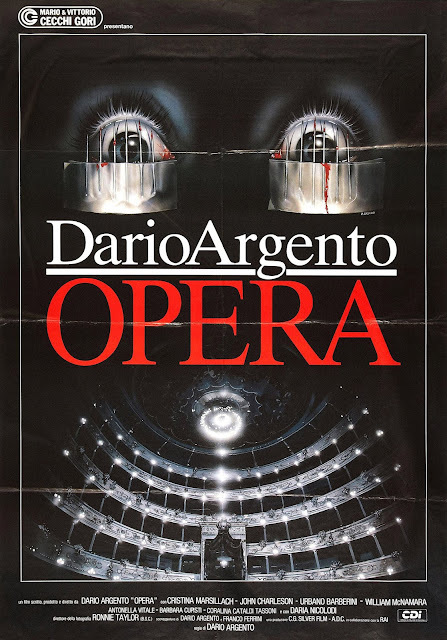 Dario Argento's Opera (1987) is one bizarre giallo. Every time I watch it, its flawed nature becomes more and more apparent. The film is mind bogglingly scattershot—both tonally and editorially (even more so than Phenomena(1985)), to the point of being comical—and features very poor dubbing (even for an Italian genre film), unfortunate dialogue, and some particularly atrocious acting. Some also complain about the seemingly random placement of heavy metal cues but that's one aspect that's never bothered me (in fact I kind of love those moments). 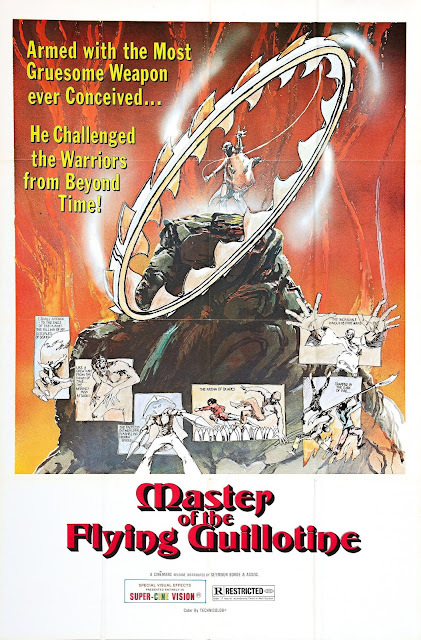 Master Of The Flying Guillotine (1976), star and director Jimmy Wang Yu's sequel to his 1972 film One-Armed Boxer(which I've yet to see), is one zany mishmash of kung-fu craziness, filled with non-stop action, outlandish characters, and—perhaps the oddest choice that somehow works—a krautrock soundtrack consisting of Neu!, Tangerine Dream and Kraftwerk. A very fun time, if you don't mind poor dubbing, a bit of goofiness, and some casual racism. While I've always found the political satire of consumerism, greed, class, and sheep-like mentality in They Live (1988) to be a bit clumsy and heavy-handed (though still relevant), the mix of black humor and realistic violence/drama a bit tonally uneven, and the score to be one of director John Carpenter's cheesier and lesser efforts, it's still a very fun and entertaining film. Lead Roddy Piper belies his wrestling roots to give a mostly subdued and strong performance, and Keith David is his perfectly-cast support. The seemingly endless and awesome street fight between the two is a showstopper—brutal, comedic, and—amazingly—includes no stunt doubles. 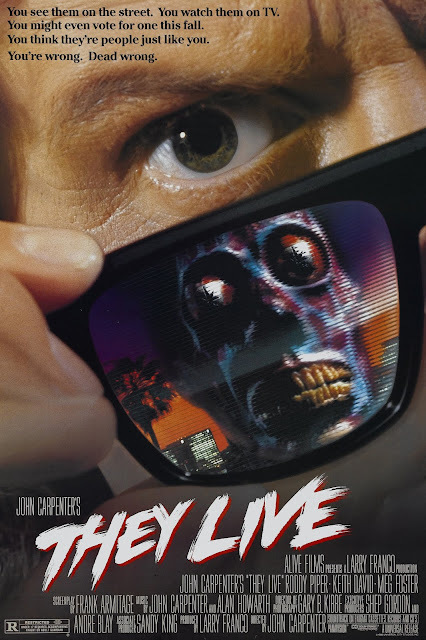 To sing more of They Live's praises—it features excellent cinematography, choice one-liners, action that predates first-person shooter video games, a perfect zinger of an ending, and one of the most iconic genre posters of the 80s. You can find my John Carpenter Feature Films Ranked list here. Prince Of Darkness (1987) is a bleak, perhaps even a bit nihilistic, film but I love it. There's a definite Lovecraftian vibe running through POD and it plays as a kind of more-focused Fulci film, channeling a similar sense of unease. At times it's also reminiscent of the kind of sci-fi/horror on display in Halloween III: Season Of The Witch(1982). What hampers POD from being a stronger film are the numerous amateur performances (though Donald Pleasence and Victor Wong, as the most seasoned actors, are both strong here), very underdeveloped characters, some unfortunate dialogue, and a bunch of humor that falls flat. Though on one hand, some of the aforementioned qualities, along with the siege plot aspect, and director John Carpenter's penchant for delivering bang for every dollar spent, harken back to his earlier Assault On Precinct 13 (1976). 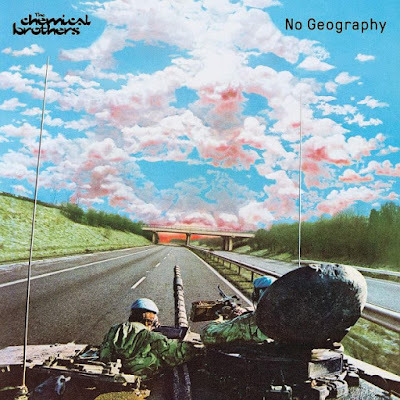 On their ninth album, No Geography (2019), The Chemical Brothers strike a nice balance of familiarity and surprises, while never sacrificing what matters most to their sound—bangin' beats. Other things matter too, of course, like funky basslines, repetitive samples, and noisy yet controlled synths and frequencies—all of which are also present. 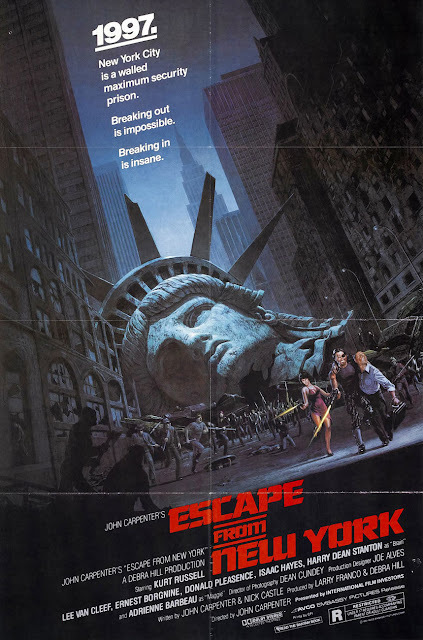 While some may find the outdated technology and obvious artifice of the production design a knock against Escape From New York(1981), for me these aspects only add to the charm of the film. I love the low budget nature (by today's standards), along with the incredible ensemble cast (Kurt Russell, Lee Van Cleef, Ernest Borgnine, Donald Pleasence, Isaac Hayes, Harry Dean Stanton, Adrienne Barbeau and Tom Atkins—c'mon! 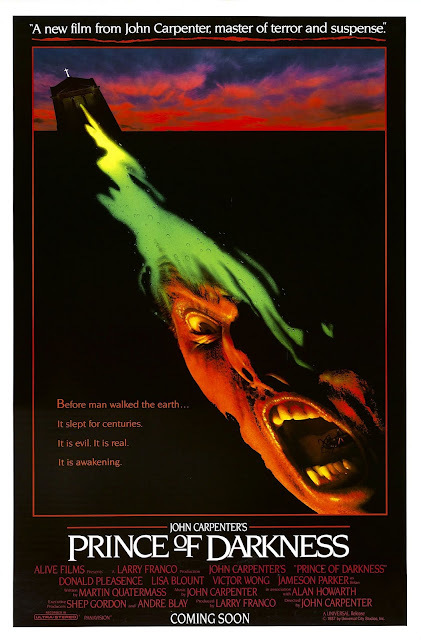 ), the quotable dialogue, the subtle black humor, Dean Cundey's fantastic cinematography, and the moody electronic score by director John Carpenter and composer Alan Howarth. Snake Plissken is the kind of antihero that continues to resonate and Escape From New York is one of the preeminent 80s dystopian sci-fi action-adventure films—highly influential, and a true cult classic. 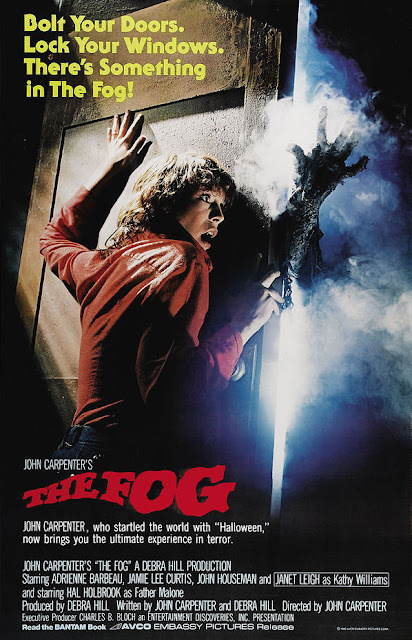 The Fog (1980) is a good old-fashioned ghost story with a strong cast, typically excellent cinematography from Dean Cundey, and a tense, somber score by director John Carpenter. There are some moments that fall a bit short quality-wise, and some of the characters are underdeveloped (in particular Jamie Lee Curtis), but the sense of dread throughout is palpable and the craft on display is commendable. 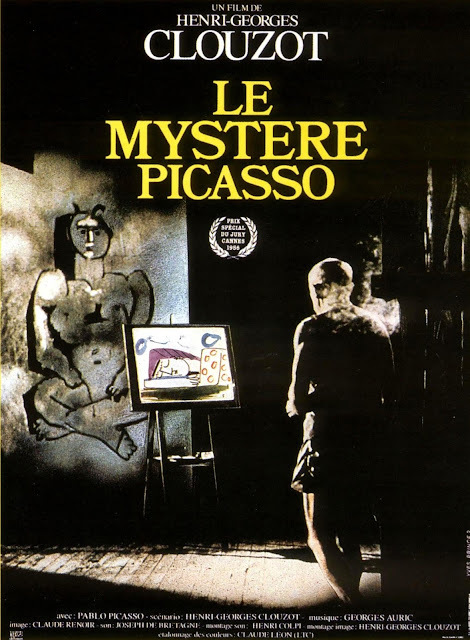 Henri-Georges Clouzot's film The Mystery Of Picasso (1956) is as equally mesmerizing as it is an exercise in patience. Essentially a 78-minute visual document (with some footage of the man himself) of Picasso painting, where special transparent "canvases" were used to portray the act of the creative process from the view of the painter. This experimental technique had been done in a similar, but slightly different fashion, in a shorter documentary called Visit To Picasso (1949), but Mystery really capitalizes on the concept, adding a more cinematic quality—the majority of the film is presented in the Academy ratio of 1.37:1, but expands to CinemaScope 2.35:1 for the last 20 minutes—augmented by a varied and frenetic score by Georges Auric. 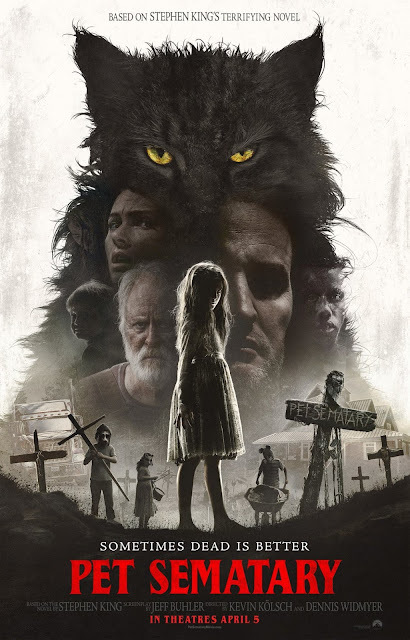 I've not read Stephen King's novel so I can't speak to how faithfully or not Pet Sematary(2019) follows it. I also think I've only seen the 1989 version of Pet Sematary once (maybe twice) and don't recall much, so I'm probably due for a revisit. As for this new filmic adaptation—it's fine but nothing great. I thought it was solid up until the finale, and in particular, the last moment—while nothing new in horror films, the smirky ending didn't work for me, and reminded me of a similar tonal betrayal in another recent horror film, A Quiet Place(2018).